US-based Tuckernuck is an online boutique curated for the classic, American lifestyle and inspired by good, old-fashioned fun! By selling new, exciting labels as well as well-known, iconic ones, the product offerings represents a timeless look based on ease, tradition and American cool. With Big Apple Buddy’s personal shopping service, you can now buy direct from the Tuckernuck online store anytime, anywhere. 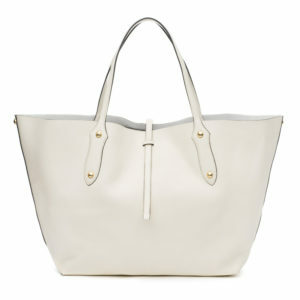 The Tuckernuck team's tote pick for everyday use, travel, and chic outings, is the Annabel Ingall Ivory Large Isabella Item Tote, made of soft, genuine leather. Its thin straps and light weight body make it practical while the unique details and clean, simple design make it stylish and sophisticated. The Loeffler Randall Women's Ultra Pink Multi Sylvia Heel are the perfect way to add a pop of color to your everyday wardrobe this summer. They are bright enough to stand out with the most basic black dress, yet subtle enough to be worn with a patterned garment. 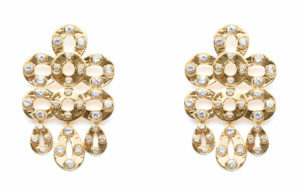 The Asha Edie Chandelier Earrings, inspired by Edie Sedgewick are sure to wow. These show stopper 14k vermeil white topaz chandeliers are elegant, classy and timeless. Unfortunately, the USA Tuckernuck online store does not currently offer international shipping. However, Big Apple Buddy, your personal shopper, can help you buy products direct from the official USA Tuckernuck online store and ship them to your doorstep, no matter where you are in the world. We offer international shipping to over 110 countries including Australia, Austria, Azerbaijan, Bahrain, Belgium, British Virgin Islands, Brunei, Bulgaria, Canada, Chile, Costa Rica, Croatia, Czech Republic, Denmark, Estonia, Fiji, Finland, France, French Polynesia, Germany, Gibraltar, Greece, Greenland, Hong Kong, Hungary, Iceland, Indonesia, Ireland, Israel, Italy, Japan, Jordan, Kuwait, Latvia, Liechtenstein, Lithuania, Luxembourg, Macau, Malaysia, Maldives, Malta, Marshall Islands, Mauritius, Monaco, the Netherlands, Netherland Antilles, New Zealand, Norway, Oman, Poland, Qatar, Romania, San Marino, Saudi Arabia, Serbia and Montenegro, Seychelles, Singapore, Slovak Republic, Slovenia, Spain, South Africa, St. Lucia, Sweden, Switzerland, Taiwan, Thailand, the UAE, the UK, Vatican City, and Vietnam. If you would like to buy from the USA Tuckernuck online store, simply let us know which items you would like to order (by filling out the form below) and we’ll get back to you with a free international shipping quote within 24 hours!